Walk both your big dogs with the coupler and dog leash combination. 4ft Double Dog Leash with 2ft Coupler. Equipped with nanoSwivel, Carabiner, Stainless Steel Clips & Reinforced eye. Color shown in pic is Milky Way. More color selections available. 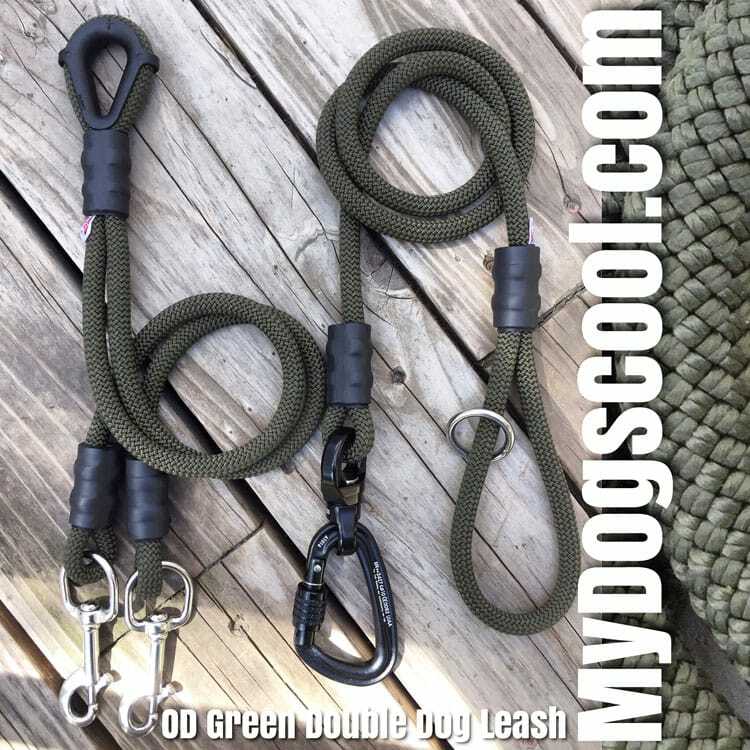 Double Dog Leash Coupler built with CE rated climbing rope, locking carabiner, nanoSwivel and marine grade stainless steel swivel hooks all secured with customized industrial connectors. As with all of our custom dog leashes this double dog leash is designed for your medium to extra large dogs. Having two dogs is twice the fun and sometimes easier to walk if the dogs are attached to a coupler and single leash. 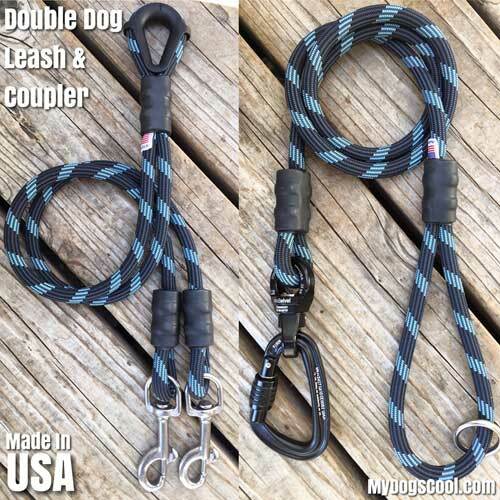 The double dog leash coupler is handcrafted using the best materials and built to order. 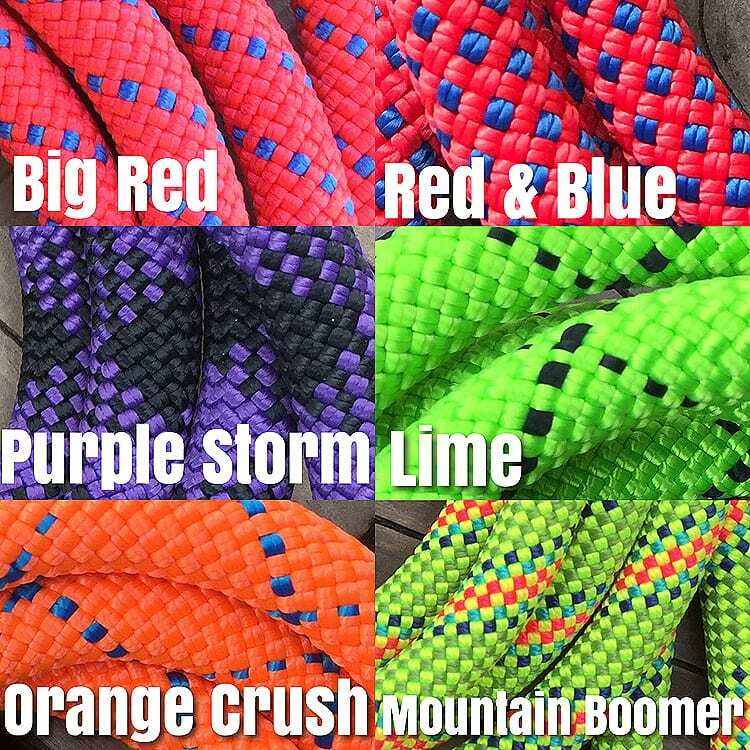 Different colored climbing rope is available. Both the leash and coupler are built with CE rated climbing rope, compact black locking carabiner, CNC machined nanoSwivel with stainless steel axle and sealed bearings. These components are originally built for rock and mountain climbing. Their compact size and reduced weight make them ideal for custom dog leashes. Both medium and extra large dogs are well suited for this double dog leash & coupler. The coupler uses two marine grade 316 stainless steel clips with a reinforced eye that connects to the main leash. The stainless steel clips we use are superior to those of similar style seen on most dog leads. 4ft Main Leash & 2ft Coupler designed with climbing rope,nanoSwivel, locking carabiner, two 316 stainless steel clips, reinforced coupler eye and a one inch welded stainless steel O-ring in handle. To customize this lead select from the options menu below. If it's only the dog coupler you need, click here. Select the Length of your Double Dog Leash. Select the Color of your Double Dog Leash. Color options can be seen on the home page. If not listed in the drop down menu, its out of stock. This option upgrades the coupler with a set of Professional CE rated locking carabiners and nanoSwivels or carabiners only. These will replace the stainless steel swivel clips. If your dogs are large to extra large, and pull exceptionally hard, this upgrade may be for you. 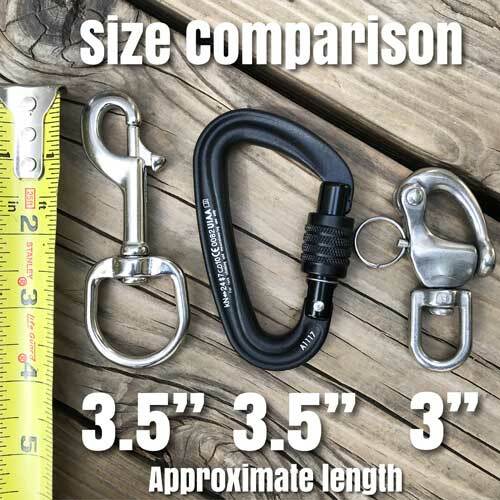 Please keep in mind that Carabiners by them selves will not swivel, and may result in a tangled coupler or leash. 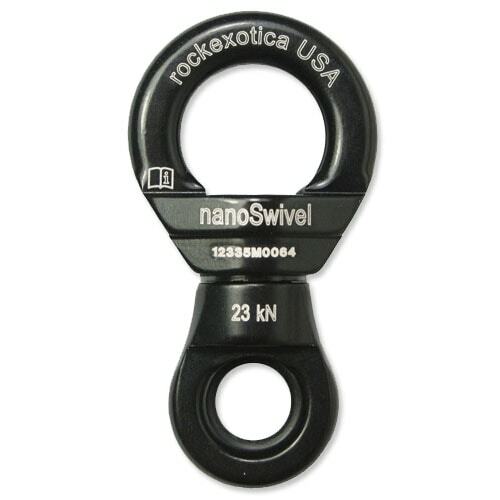 NanoSwivels or stainless steel clips are typically the best choice. • Length: Main leash – 4 foot. • Length: Coupler – 2 foot. It's perfect! The materials are high quality very durable. Thank you so much.